When you think of Tokyo, you probably think of the Tokyo of the Sunday supplement ads, with a geisha gazing wistfully over a sea of cherry blossom towards distant Fuji. If you’re of a fannish persuasion, you may envision a neon metropolis packed with frenetic activity and shopping opportunities. You’re unlikely to conjure up a vista of mudflats running into a wide bay, dotted with tiny figures digging for shellfish, or of an American geologist sneaking into a railway cutting on an illicit archaeological dig. Then again, you’re not Jonathan Clements. We all have our own Tokyo, and this is his. 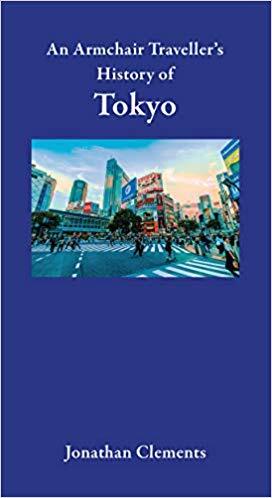 Clements’ skillset – Asian specialist, linguist, historian and foodie – might have been designed specifically for his newly published Armchair Traveller’s History of Tokyo, combining as it does a history of the city from a time of myth, conjecture and hazy record to the current year 2018 with a gazetteer containing a selection of the sights and attractions of the city. The history of the city is enlivened with comments and asides from earlier travellers as well as Clements’ own observations. Its huge scope is compressed into a narrative with a unifying thread – the chequered fortunes of one Tokyo gravesite, for centuries believed to enshrine the head, and restless spirit, of bad -boy samurai Taira Masakado, a rebel whose legend proved enduring enough to force the occupying American forces to change their plans for a car park in 1945, and to inspire the 1988 animated fantasy Doomed Megalopolis. Clements is even-handed in his view of the excesses of post-war Japan, touching on both the warped version of history enshrined at the controversial Yasukuni Shrine and the cynical offloading of surplus American grain onto a starving population at market rates. He highlights the devastation of the Great Kanto Earthquake of 1923 and the firebombing of Tokyo by the Allies during World War II, and summarises the impact of the Tohoku earthquake, tsunami and meltdown on the capital and the culture. His Tokyo is a determined survivor, an unlikely phoenix that somehow always manages to rise from its own ashes. The book has two drawbacks. 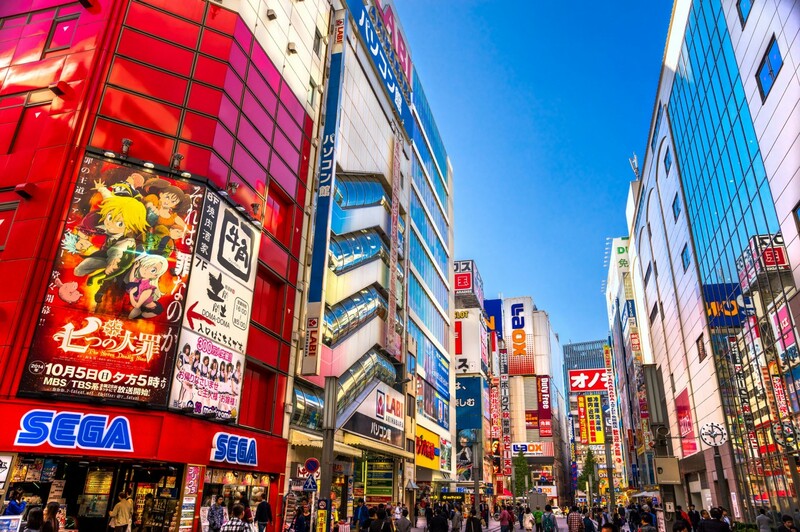 The first is that separating Tokyo from the rest of Japan inevitably means leaving out places of interest to travellers, even given Tokyo’s territorial immensity. So Clements includes the 25-hour journey to the Ogasawara islands that are, remarkably, technically part of metropolitan Tokyo, but not the common day-trips to Hakone and Fuji that are within a couple of hours’ travel time. The second is that even the most devoted city-walker and keenest scholar can’t keep pace with urban evolution. Cities change, leases run out and the museum, restaurant or monument that was a must last year may have vanished. Clements both mourns and celebrates a constantly changing parade of lost and reborn Tokyos, layered onto and fading into each other, leaving only fragments of each incarnation behind. It’s a vista that will tempt many an armchair traveller to go and see for themselves. Helen McCarthy is the author of A Brief History of Manga. An Armchair Traveller’s History of Tokyo is published by Haus.